distortedbeveragesblog | A blog about my adventures in business with my new heavy metal based wine and beer company. It takes a lot of time to make good things happen, some times you just have to let it roll along and eventually it will all come together. 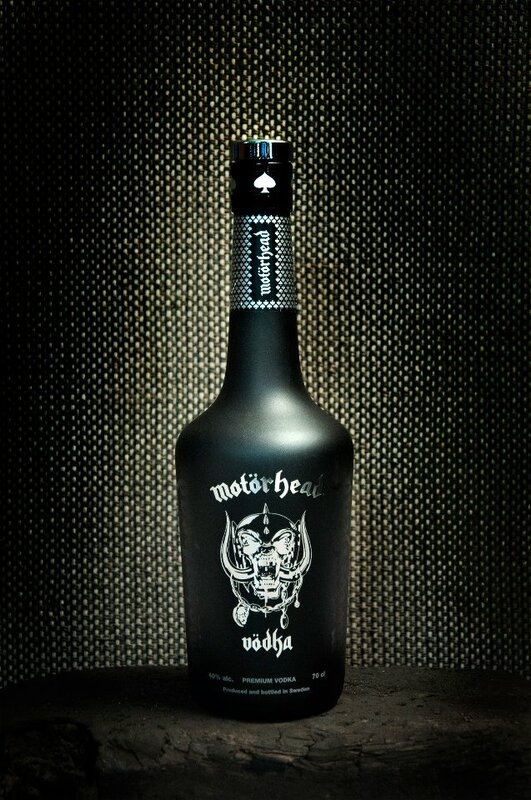 This is how it is right now with Motörhead wine, it is so close I can almost taste it. This post is a call out to all the retailers out there in Australia. If you want to see this wine in your store then we need to know. You see the guys with the money are worried we can’t sell what we intend to make, crazy right! I have absolutely no doubt that this wine will sell and sell well. The challenge right now is to provide some real evidence of that to the cheque book holders. Don’t get me wrong, they want it work as much as I do, but seeing as it’s their money I can understand their wanting to know the worst case scenario. Hopefully there are enough readers out there in web land to read this and be interested enough to give a quick response in the comment box below to let me know. This doesn’t effect just the Motörhead wine either, if this isn’t successful then we won’t see the Motörhead Vodka or Slayer wine either. And this is just the beginning, there are big plans for all of this so I’d appreciate it if you can let me know. I’ll be launching a Facebook page soon too, which will easily allow people to like the page and tell us what you think. So go on, tell me what you think. I’m listening. Although Soundwave was actually a month ago I’ve been meaning to write a little review of the day, just haven’t had the time. The bill for this years’ festival was pretty astonishing, Slipknot, SOAD, Limp Bizkit, Manson, LOG, Machine Head, Trivium, Mastodon and many, many more. I checked out a few bands on the day, but I did sadly miss one of the bands I was looking forward to the most, Steel Panther. Alter Bridge were pretty good and were the first band I saw on the day, but I don’t really know their music that well so I wandered over to the metal stage to see who else was playing. It was Meshugga. No doubt Meshugga is an intense band and genre breaking, but I don’t really get it. Nothing about their music really reaches out and grabs me so I wandered some more, saw some fairly lame emo/punk bands then came back to the metal stage to check out In Flames. They are another band who I have been aware of for some time, but havent really listened to their music that closely. Check out my post about their awesome restaurant over at Swedish Metal Restaurant. After In Flames came on one of my favourite bands, Trivium. This would be the 4th time I have seen Trivium live and I’ve liked them since the Crusade album.They always put on a great show and kicking their set off with their latest album opener In Waves went down very well with the crowd. The next highlight for me was seeing Mastodon, who are managed by my good friend Rick Sales’ company. Rick being there meant we could watch their set from side of stage which was fantastic, they put on a great show. Also, whilst they were playing I was chatting with Willie and John from the mighty Lamb Of God. We had met previously so it was cool to see them again and have a quick chat. After Mastodon’s set we went back to the dressing room area to chat with the guys, all really cool although I didn’t meet Brent. I have to say also that they are probably one of the tallest bands in metal, true. Chatting with Brann Dailor, drummer for Mastodon and IMHO one of the best drummers in the world right now was super cool. Brann is a very down to earth guy and we hit it off straight away talking about beer. Turns out he is a massive craft beer fan and by the sounds of it a bit of a beer geek like me. Rick told the guys about what we were doing with the wine project and about what we are talking about in regards to beer, so instantly Brann and I started talking beer. It was funny watching the others look at us like we were talking another language and just walk off and leave us to it. I don’t want to ramble on too much here about this but it was very cool to meet someone who had the same taste in beer as I did, who also happens to play drums in one of the coolest bands in metal. My final and perhaps biggest highlight for the day was seeing the amazing and quite definitely mental Slipknot from the side of stage. I managed to score a special Slipknot Stage Access pass from *cough* Marilyn Manson’s manager *cough*, because without this you were not allowed on the stage area whilst they played. Standing stage left pretty close to Clown and Sid watching them go mental and put on an amazing show was something to behold. The crowd was sick, the band sounded better than ever and I was standing right next to Randy from LOG who was taking pictures the whole time, who also happened to be next to Dave McClain, drummer for Machine Head. It really doesn’t get much more amazing than that for a metal fan like myself. Truly a brilliant day. I am hopeful that I’ll be able to pull together a brewing/beer project with Mastodon in the future. I plan to reach out to Brann and try to get some feedback and ideas from him, would be really cool I reckon. If you have any ideas/thoughts/musings about a cool beer style that you think would suit Mastodon then please leave a comment and let us know. Well, that’s quite an essay I would say. Until next time, may your music be LOUD! !